This set is an imaginative as it is fascinating. 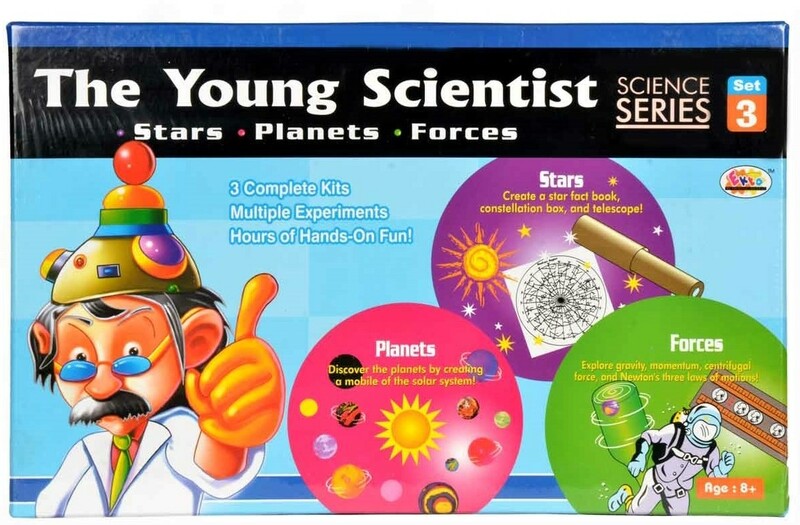 The Young Scientists create a star fact book, construct a constellation box, make a telescope, create planet fact book, make a poster of our solar system, discover the planets by creating a mobile of the solar system, explore gravity, momentum, centrifugal force, and Newton's three laws of motions! That all will keep young scientists captivated for hours. 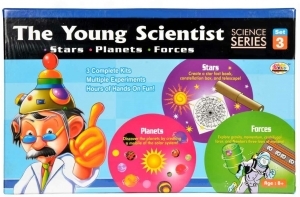 7 round coins & 3 guide books of stars, planets and forces.